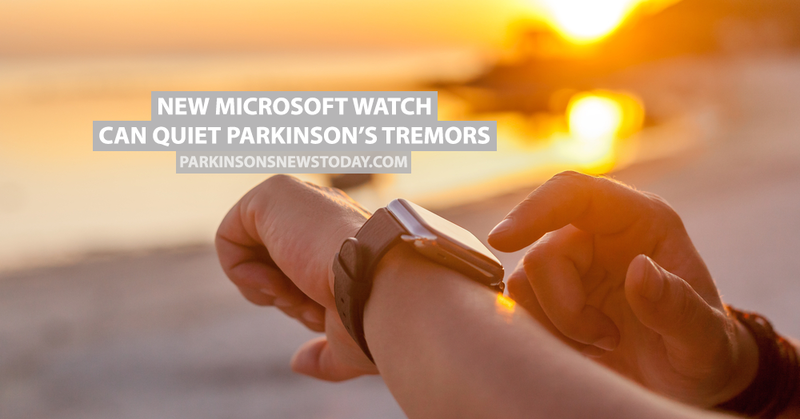 Tech giant Microsoft has just unveiled one of their newest, most innovative designs: a wristwatch that can temporarily halt tremors in people with Parkinson’s disease. MORE: Inventor solves graphic designer’s problem with Parkinson’s tremors. The prototype was showcased last week at the Microsoft Build 2017 event in Seattle, Washington. The watch works by vibrating in a certain pattern which disrupts the patient’s own tremors and quiets them. According to USA Today, the “Emma” watch was originally designed for a British graphic designer, whose Parkinson’s disease had left her unable to do her job. Microsoft engineers accepted a challenge on behalf of the BBC television program The Big Fix and astounded everyone when Emma was able to write her name while wearing the device. 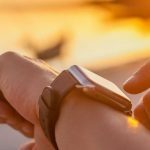 Although the watch doesn’t cure tremors, it could offer a practical solution to millions of people living with the disease and the technology can be built upon to come up with other creative ideas that may help tremors in other parts of the body. MORE: Designing hacks for life with Parkinson’s disease. Tagged Emma watch, Microsoft, Microsoft Build 2017, Parkinson's tremors, Parkinson's watch. When might this be available? This watch is not in production yet. yes!! true! has been waiting for a year. My fiance has terrible tremors. He is in the medical field, and he so wants to be able to care for patients but it is a challenge for him. Please inform the media and me when this watch will be available so my future husband has a shot to do what he loves, which is helping care for people. Thank you to all involved in making this breakthrough. Please let me know when it is available (and hopefully affordable). I would also like to be included in any clinical trials. to order one ,when be available to buy, and aprox.the price. I know this is specifically designed for Parkinson sufferers, my daughter is epileptic due to meningitis her medication causes tremors ,has your research looked into helping reduce tremors from other diseases and side effects. Are microsoft even working on this still? when will the Emma watch be available for purchase and will medicare support the cost?? This watch is not available or in production yet. It’s not available and we don’t know when it will be. I have to agree that this very depressing that Microsoft has a product they have made public yet isn’t available to the public yet. Please inform me if this Emma Watch is available and also the cost, how to obtain one. I too want to know when the emma watch will be available for me to purchase. when can we buy this watch? This watch is only a prototype and not available for production yet. Why is it not in production yet, clearly there are a lot of people wanting one so what’s the hold up? You would think that if Apple, and all those cell phone companies can turn out “new and updated phones” every other day that Microsoft could turn out this important product at least as fast. There are so many people whose lives can be improved by this watch. I think this would far more important to people than another cell phone! This is Microsoft, remember, not Apple. are there clinical trials? I think those with essential tremors would be very interested in this watch as well. My husband has essential tremors and his life would be much better without medication to calm the tremors. This watch was only presented as a prototype. It is not in production yet. When will/shall it be in production? Please stop saying the wtach is not in production yet. Got it! the question being asked is ‘when” will it be in production? Is there anything that can be done to expedite this? Trial subjects? Finance? Goverment petitions? I would like to buy Emma Watch. Someone knows where I can buy ig. 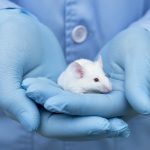 Where can we sign up for a clinical trial? Will this watch be so expensive that a regular guy cant afford it? when,where and how can I get it? I need one for a patient. Microsoft please hurry. Are there plans to put this watch into production soon? My son who is a freshman in college has a tremor. Even with a smartpen, note taking is difficult. This could be a game changer for him and so many others. Happy to trial. We are hoping that that this can help many people when it is released. Are you working with the Michael J.Fox foundation to expedite this becoming available sooner than later? I want my dad to enjoy the time he has left with my mom to the best of their ability!! Do you think this watch would help a person with ataxia from a TBI? My son suffers from ataxia in his right had and arm as a result of TBI from a car accident. Feedback please. And when will it be in production? Try to keep the price down! I really need one for patient with an artist. When I will get it? Thank you. Please notify us when this watch is available. Had Essential tremors my whole life. Would Emma help for this condition too? I am in desperate need of it so I can eat and send out Christmas cards. How can I get on the list to have one when they are available? Thank You. This is a huge life changer — can’t wait to return to a life where my hands function normally. What a relief. Please help soon! Does anyone know where in the process development is? If it’s in clinical trials, does anyone know who to contact? I don’t understand why we cannot locate information as to how to participate in the clinical trials. And then not let them know when manufacturing will begin. On a solution such as the watch. It’s “a big tease” we need concrete information. Is the Emma watch in production yet? Give me an idea on cost & time it will be available, please ! Like everyone else asking, When will it be available? Hopefully in my lifetime. Like everyone else asking, When will it be available? Hopefully in my lifetime. On a solution such as the watch. It’s “a big tease” we need concrete information. Who ever has this project in their in tray please get it moving, it cant be that difficult and would improve the quality of life for thousands of people. 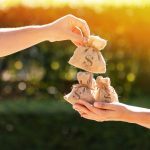 Is money the problem? I am sure this could be raised in a kick starter project? Please someone grab the ball and run with it!! I have a tremor in my left hand, because of ms. Do you think the Emma would work for me? Microsoft can produce the product in another country with less governmen (FDA) intervention. We the PD sufferers need solutions. I would like more information on when the watch will be available or how to become part of the trial. 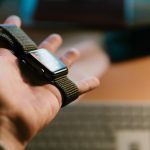 Is there a possibility of watches being available for individuals as test subjects? How , where , we can find it how much its cost .is it dream ? Thank you for taking time to respond to some.I have known two dear friends that have had to deal with this horrible disease. My friend I have known 65 yrs, since 1st day of kindergarten, had to try to help her mom struggle with this disease. It took so much from her. Now, I have a close friend that is trying hard to stay pro-active and upbeat. The tremors cause a lot of difficulty. Not just writing, eating, answering a phone, dressing, getting out of bed,etc. Please try to speed up the process and keep price afordable. They are so many out there your profits will not suffer by making it affordable. A high price will just mean you will not sell as many since their med are a priority. I would very much like more information when this Emma watch is available and the cost of it. 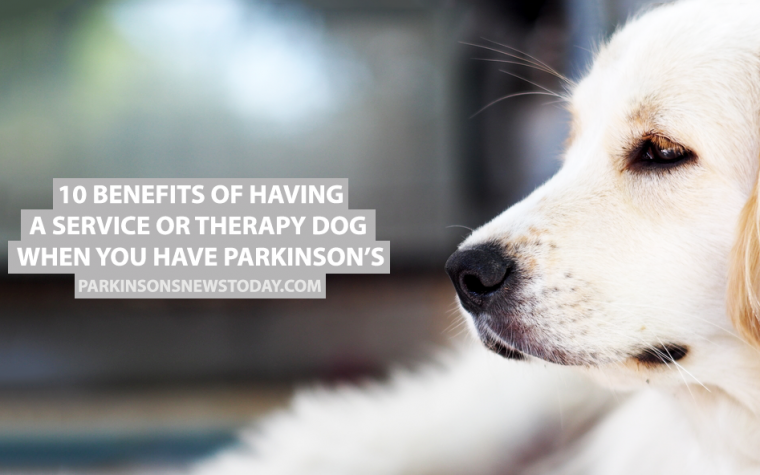 I have suffered from Parkinson’s for 13 years, and I would really benefit from something like this. 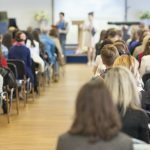 Do you need more participants for clinical trials? I would love to participate. Please hurry the production! I have a 22 year old daughter that this would be amazing for. She just graduated from college in May with a tesching degree and is subbing in our local achool district. She really has a hard time writing because of her tremors. She is also visually imapired and has seizures. This could make one aspect of her life a little easier. How do you become a part of the trial? This is just amazing!! I would love to give this to my Mom. This would be the perfect gift for her!!! Oh how I wish this was available for purchase. I am desperate to try and buy the Emma Watch. Parkinson’s disease has robbed me of my independence and zest for life. I have terrible side effects from the medications and this could be the answer to my prayers. Please count on me for clinical trials. I only want to be able to do normal everyday things again that used to be second nature. My Dad has essential tremors. We would love to get one for him if they are within reason. Please let us know when they will be available. WHY would you “unveil” a prototype? Would like to purchase the watch, I’ have Essential Tremors, this would work great. Cost and where to but one or 2 of them. My husband has Essential Tremor and would do anything to be rid of it. He’s incredibly frustrated as he is unable to do so many things because of it. He would love to trial it and buy it if it worked for him. would this work on intention tremors for ms patients as well? Could is also help someone with essential tremor? I have watched my father suffer with Parkinson’s. I think this watch will help with his tremors and his self confidence. A sense of control, to be able to write again and maybe just to eat by himself. Is there a way to be in a trial? Or any idea when it will be avail to purchase? Please don’t forget all of us who are waiting to resume some normalcy in our lives that this watch would bring. We’re hoping it comes available to us soon and would be affordable to the average person. I speak for all of us with some desperation. I too would like to know when this watch will be available. I have Parkinson’s and writing has become difficult. I am wanting to be a pediatric oncologist. With tremors it’s near impossible but that’s my dream… this would give me a chance! Just please, i would love to try this! Sign me up for the clinical trials please! Hi, I️ heard about the emma watch and I have essential tremor and myoclonus dystonia. I’ve tried all the medicines, propanol, Carbidopa levodopa, Clonazepam. Daily life things are a struggle and if this could make a difference i would love to try it for you all and document it if you are in the testing stages with videos or even purchase one. I would love just a chance at a change of quality of life. I go to a neurologist at UAB. I can get them to send proof of essential tremor and dystonia if needed. This is a game changer! Cannot think you enough for making this Microsoft! You are changing lives! It’s quite a tease seeing the product and not being able to purchase it. I hope it becomes available soon. This would be a remarkable asset for my husband. He is quite interested in being part of a test trial for the product. It would definitely build his self-confidence. How soon will this be available for purchase? If not available, how do I become a test subject or member of a clinical trial to evaluate the product? Unable to write and great difficulty writing. Please help/respond! Could this possibly help those that have nerve damage that causes their hands to shake. So hard for my husband to eat or work on anything due to the shaking. And his balance is so bad. He was in a motorcycle wreck in 2001. And many accidents in between then and now due to balance. I have had this tremor since I was a child and has got worst in my later years. I have had DBS surgery 3 times. The first surgery was 2009, 2013, and 2015 at Emory in Atlanta with minor results. I go to Emory every 3 months for programing my hand. This has now caused neuropathy in my hand because of the high voltage programing. When will the watch be available? I hope to see wonderful help for people in the future and thanks for everything! I too suffer from Parkinson’s tremors. Please listen to all of these people begging for help with their tremors. If it doesn’t fit into a profitable business model please share the information with the Michael J. Fox Foundation. They can make it happen. To Microsoft, and Bill Gates: Hundreds of thousANDS OF US WANT IT AND NEED IT. wHERE ARE YOU, mICROSOFT? mONEY SHOULD BE NO OBJECT. Medical authorisation (no dangers) should be no object. If so, sell your patents (if any) or give them away to an entreprenure, foreign or offshore company who will proceed. Better yet, Bill Gates’ Foundation to bring it online. Then Microsoft can be a hero! I think that’s the question we all would like Microsoft to answer or at least inform where they are in the production process. When can we hope to be able to buy it? Thank you. My wife suffers from Unilateral Dystonia. Please notify me wen the watch is available.Thank you. There seems to be complete silence from the developer on this. Why? 1. Are we talking months, years or decades until we see some form of product? 2. Are there patent disputes or other vested interests involved? Sort out or name and shame? 3. Was this a late and sick April fool?! Ridiculous to build up people’s hopes like this. I have Parkinson’s and would like have the watch to help my hand tremble , How long until it will be on the market? I have PD and the tremors is the most debilitating problem I have. Ifear that this won’t happen within my lifetime! Come on Microsoft, Christmas is nearly here and it’s probably the only thing everyone on this post, including me, would want! Please let me know when this “watch” becomes available. I would also be very willing to act as a tester. Please let me know when this “watch” becomes available. I really need this “watch” for my Mom. My husband also really needs the watch. I assume it is still not in production? My father in law has suffered from essential tremors for 4 decades. In the last 20years, he has not been able to write at all. He’s now 92. I hope he gets to wear the Emma watch one day and that will make him very very happy. Please hurry up with production. ‘Unveiled’ in May 2017; last Microsoft reply on this stream in August 2017! Come on get a product released even with loads of legal qualifications on efficacy!! Lawyers and legal system get real! Dear Bill (and Melissa) Gates: Where are you? YOUR Foundation? Microsoft? 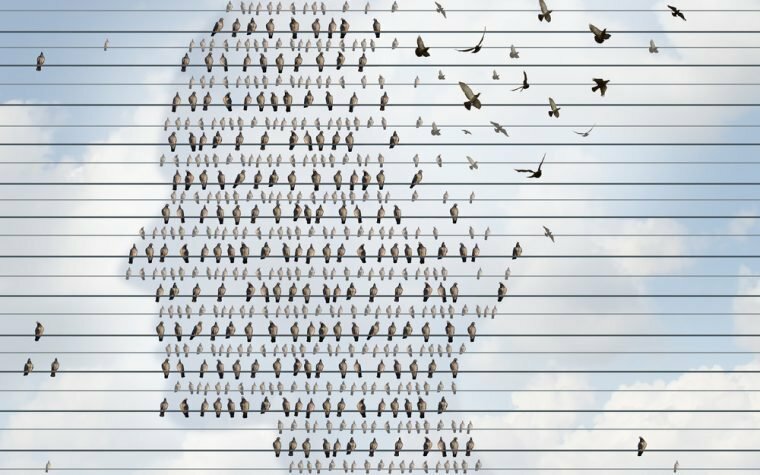 We Parkinsonians (the world) need(s) you. The “(Microsoft?) Emma Watch” will be very profitable (priceless!) and you can share the proceeds with the Bill and Melissa Gates Foundation, for even More Miracles! Any idea when this product will be available?. My brother has PD with severe shaking in both hands. Please Forgive me, Melinda. Absent-mindedly (Parkinson’s?) I referenced you by my niece “Melissa”‘s name. (February 12, 2018 comment). All well meant: all of us need the “Emma/Melinda” Watch!! 1. Cant write and sign. 2. Eating food is also a problem due to vibrations in hand. I hope this watch can help me lot in improving my daily life. I will be very happy, if can be used in such development which can help millions of sufferers for trials on me. C’mon, Microsoft! Where are you? ARE YOU GOING TO PRODUCE the watch? 2) If so, WHEN?! (Why don’t you sign us ALL up as volunteer trialists? I don’t know who Tim Bossie answers to, but either Bossie’s Boss or “Boss-Bill” should be FIRED! Melinda/Foundation to the rescue? I am a retired Army Officer and am 74 years young.I have treamors in my right hand. The tremors become more pronounced if I have to sign my name or write something in front of some one.At times the tremors are noticed when I lift a glass of water or a cup of tea. I saw Emma’s video on Facebook and would like to know if this gadget could help to reduce my tremors. I am sure it will. Col. Sudhir Barge. Pune, India. Mob. 9420159909. I am also in the long line waiting for this to be available as my wife would really benefit with it . Please stop messing about and make it or tell us how it is done so that someone else can make it. Microsoft needs to get on the stick and get the “Emma Watch” out to the PD population. We can serve as the clinical trial participants, we don’t mind taking a chance in a testing or using product that may help us live with PD. I understand the lengthy process of medical trials for drugs and appliances; however, the disease continues to progress and the benefits of private foundations only go so far (God Bless MJF’s Foundation). Microsoft give us a chance to serve as the test group. We will comply with the nuances of guidelines to help with the clinical appliance study while ensuring an additional validity measure to your study. Please, please, Bill and Melinda Gates Foundation. If Microsoft can’t do it, could you please encourage your admirable Foundation to “pitch in” and help? All of us (Parkensonians) will be happy to help trials (or purchase immediately!) We have been waiting now for OVER a year! HOW HARD CAN IT BE TO PROGRESS THIS POTENTIALLY LIFE CHANGING WATCH FOR PARKINSON SUFFERERS. PLEASE ON BEHALF OF ALL PARKINSONS SUFFERERS OF WHICH I AM ONE, SOMEBODY TAKE HOLD OF THIS AND RUN WITH IT. I am ready for Clinical Trial and willing to pay for it. Please speed up the process and help the suffering HANDS. I also have Essential Tremor which is steadily getting worse and more debilitating. Like others who’ve posted here, I am dismayed that Microsoft has not yet produced or even announced the availability of the Emma watch which promised so much when originally unveiled. But has anyone actually asked or had an answer from the company about this? Surely Parkinson News Today has the ability if not the clout to demand an answer? Hey, lets give all the info about this watch to APPLE — they know how to get things done FAST!!!! Its obvious they aren’t going to get it out anytime soon, they won’t even give a decent reply and discuss it more than saying, ‘its in production’ which is a lie, it would be out by now!!! Please let me know if and when the Emma watch will be available. I struggle with tremors every day. Thank- you. Is this bracelet n the market? This would be a life changer for my husband as well as my friend. can I order one?